A light, quickly absorbed, non-greasy exfoliating gel that's ideal for oily and acne prone skin. This gel will help achieve smooth texture and a more even tone. It has a light fresh feel and is great for those who prefer a gel instead of a cream or lotion. Intended for experienced AHA users with non-sensitive skin. After cleansing, apply to face and other desired areas once daily for two weeks and twice daily thereafter, as tolerated. Daily use of a sunscreen with this product is recommended. After using this product for only a week I noticed good results. Skin smoother all around and healthier. Also this is one of the few products I have tried that really minimizes pores. 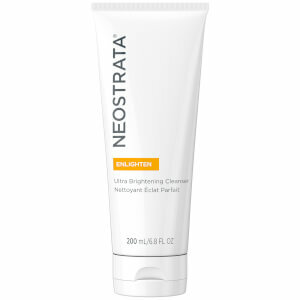 I use this along with NeoStrata Foaming Glycolic Wash AHA20 and am very happy with the results and complexion of my skin!!! This is an amazing unexpensive product that works in just a few days! I increase the dose from 8% AHA, 10% AHA to this product (15% AHA), and this product works the best. I have sensitive skin so I suggest people who are afraid that 15% AHA would be too strong also increase the dose step by step. Not only you will have smooth skin, the pores would be shrinked too! This is the best and strongest glycolic acid product on the market. It is extremely inexpensive and effective. I am 39 and fair-skinned with naturally auburn hair, and it has given me beautiful glowing skin and helped soften my fine lines. It also is a generous amount so even though I use it twice a day most days it lasts me a long time, and I use it all over my face, neck, and chest. This is a superior product. 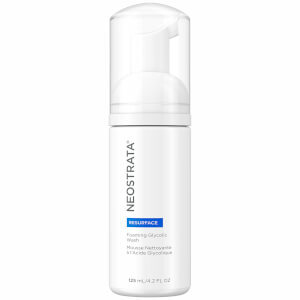 Glycolic acid can be strong on senstitive skin, so start slowly and follow directions. My skin got used to it after a while. If you want affordable, real results for fine lines this and Skinceuticals Retinol 1.0% are the real deal. I have no idea how anyone can use this product. I've tried it for 2 days and every time I apply it I start to tear because the burning is unbearable. On the bottle it says "mild temporary burning" but the description here doesn't mention burning your skin!! I felt mislead by the description as well as the reviews. Not only is this an amazing product but this is also an amazing Web Site! Ordered product on Monday, received on Wednesday, was glowing by Thursday! I've felt the significant difference since the next day I began to use this product. My acne-prone skin has finally found a saver. It's incredible. You have to try it to believe it! I read the other reviews and agree with them all...cleared up my insane 40 yr/ new adult acne in under 1 week...nothing else did...and my skin is looking so much better...didnt even realize it would make my skin look better too..thought it was just for zits! It clears out my acne. My skin looks much smoother. It improves my skin condition so much that I myself can't believe it. Two weeks after using this product , my face become so incredible clear,shiny and can't even notice any open pores on my face .